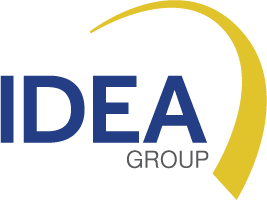 IDEA International and University Laval, Canada (ranked 11th among Canadian Universities) joined forces to create unique University Certificate programs (Masters Certificate) in different areas of expertise related to Results-Based Management (RBM). mixed (2 weeks part-time at a distance and 1 week full time face-to-face). We offer the possibility of preparing and organizing workshops for the specific needs of your institution, across the various themes proposed in our training program catalogue. These practice-oriented workshops intend to enhance your understanding of specific concepts, methods, and tools, while promoting cohesion in practices among professionals within an organization. IDEA e-Learning offers several online or semi-attendance courses, thus improving accessibility for a greater number of participants at the national level and in decentralized structures. Online assessments (examination and correction done remotely). Beginning in 2017, the Masters Certificates offered jointly by IDEA International and University Laval will be available on the at-a-distance platform of University Laval, one of the best and most powerful e-Learning platforms in Canada. The platform will enable you to strengthen your professional and technical capacities in a cutting-edge numeric environment. The Institute organizes customized study tours in Canada for a delegation of your institution. It includes training to deepen specific skills or knowledge on an area of results-based management, as well as visits to relevant Canadian institutions to meet professionals and learn from their practice.